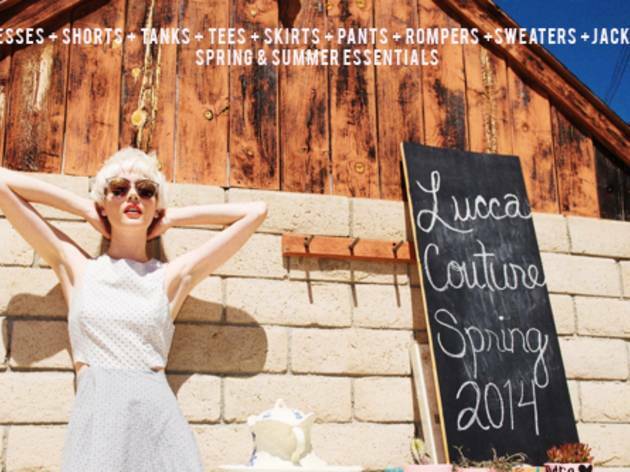 Angelenos in search for chic summer outfits should head to Lucca Couture's shopping extravaganza next weekend. The LA-based fashion brand is having their spring and summer warehouse sale along the cross streets of San Pedro and 30th street (629 E 30th St). Admission is free but be sure to fatten your wallet (it's cash only)—who knows, you might even get a hold of a floral tank dress as seen on Pretty Little Liars' Ashley Benson.